"David, there are no words to express the depth of our appreciation for all that you have done for us. Thank you for always knowing just what to do and say. We love you." WHAT IS YOUR MOST IMPORTANT REASON? There are many reasons to plan for the future – your family is counting on you! Avoid or minimize the time and costs of Probate Court. There are several other reasons as well. Everyone should have a Will, Living Will, Healthcare Power of Attorney, and Property Power of Attorney. When appropriate, Trusts can be created as well. When properly used, Trusts can help minimize taxes, avoid probate, and provide additional protection from creditors. Illinois Law requires that a copy of a deceased person’s Will must be filed with the Probate Court Clerk within 30 days after they pass away. Even if there is no Will, certain acts must be taken. Although there are exceptions, most estates must be settled through Probate Court. This can take as little as roughly one year, but often takes several years for completion. 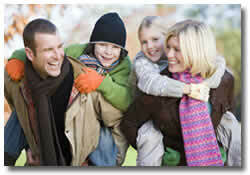 At David S. Gordon & Associates, we are pleased to provide a full range of estate planning and probate services. During Probate, many steps are required. Legal papers must be filed, legal notices must be published, the Judge must appoint an Executor, at least one accounting statement must be filed with the Court confirming all known assets and liabilities, the Judge must approve a plan of proposed distribution, the plan must be completed, and the Judge must confirm this before closing the Probate file. We can guide you through this difficult time, making the process as smooth and efficient as possible. A Will must be PERFECT, because after you need it, there is no second chance! Once created properly, it can easily be modified as your needs change. A Living Will tells doctors what level of medical care you want, and is used when you are unable to tell them yourself. Without a Living Will, a hospital might be legally required to continue treatment even with no hope of recovery – which can prolong your family’s agony, and drain your life’s savings. A Healthcare Power of Attorney is similar, but gives another person the legal right to act on your behalf if you are unable to do so. A Property Power of Attorney names someone to handle your financial matters, which can make life much easier for your loved ones and preserve your good credit rating.